PT Unilever Indonesia Tbk - Unilever Indonesia (IDX:UNVR) is a long standing Indonesian fast-moving consumer goods (FMCG) company. Originally established in Indonesia as a soap company in 1933 under tha name of Zeepfabrieken N.V. Lever. Unilever Indonesia is a local business unit of world leading consumer goods group, Unilever NV and Plc (Unilever Group). 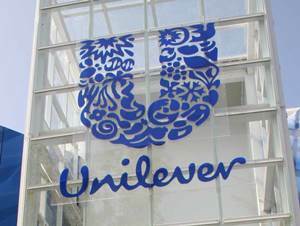 At present, Unilever Group holds 85% shares in Unilever Indonesia (through Unilever Indonesia Holding BV). Headquartered in Jakarta, Unilever Indonesia runs its business through 6 factories at Jababeka Industrial Estate Cikarang Bekasi and 2 factories at Rungkut Industrial Estate Surabaya East Java. Unilever Indonesia also supported by 2 central distribution centers, 10 depot warehouses, 30 area sales offices, 16 third party manufacturers and directly employs nearly 6,654 employee. Unilever Indonesia's head office is registered at Graha Unilever, Jl Jend Gatot Subroto kav 15 Jakarta 12930. Despite of the economy slow down, Unilever Indonesia recorded a satisfiying financial result in the third quarter of 2015 (3Q15, ended in 30 September 2015). According to Unilever Indonesia's latest published financial report (3Q15) as cited by JobsCDC.com, the Company was able to record net sales of Rp27.54 trillion in 3Q 2015. This figures reflected an 5.8% increase from Rp1,34 trillion in the same period previous year. Bachelor Degree (S1) in Accounting from top and reputable University with GPA min. 3.00 within 4.00 scales. Willing to be stationed in any Unilever's depots throughout Indonesia. High initiative and motivated to learn. Demonstrated good leadership skill, critical and strong sense of analytical thinking. Legally authorized to work in Indonesia. JobsCDC.com now available on android device. Download now on Google Play here. Please be aware of recruitment fraud. The entire stage of this selection process is free of charge. PT Unilever Indonesia Tbk - Assistant Customer Development Finance Mgr Unilever February 2016 will never ask for fees or upfront payments for any purposes during the recruitment process such as transportation and accommodation.